You can enter the file window layout mode only by opening a file from a command prompt. 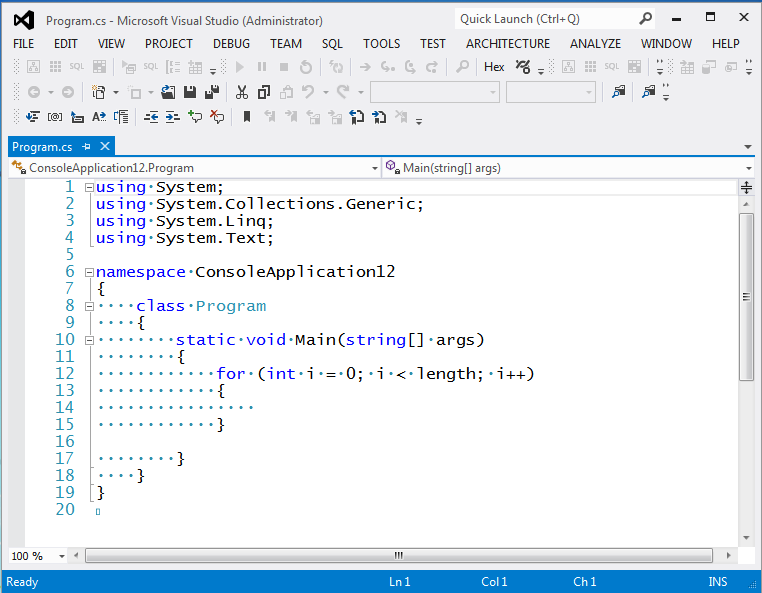 Invoking program.cs from the command prompt opens Visual Studio in this file window layout. You’ll note in the following image that there are no tool windows showing and the Text Editor toolbar is showing. This is the default view in the General Development Settings. You can make any customizations here and they’ll persist across window layout states. (This means that if you open a project, all the tool windows will pop back. This happens because you’re now in design mode.) Your customizations will be persisted across sessions. Whenever you shut down Visual Studio, these customizations are saved to disk. They are also saved as a part of your .vssettings file (Tools–Import And Export Settings).